August 7, 2015 – Garden Grove, CA – When it comes to consecutive wins in Pro-4, King Shocks racer Kyle LeDuc is king. He has set a very high bar in Off-Road short course racing and it doesn’t look like he’s done. 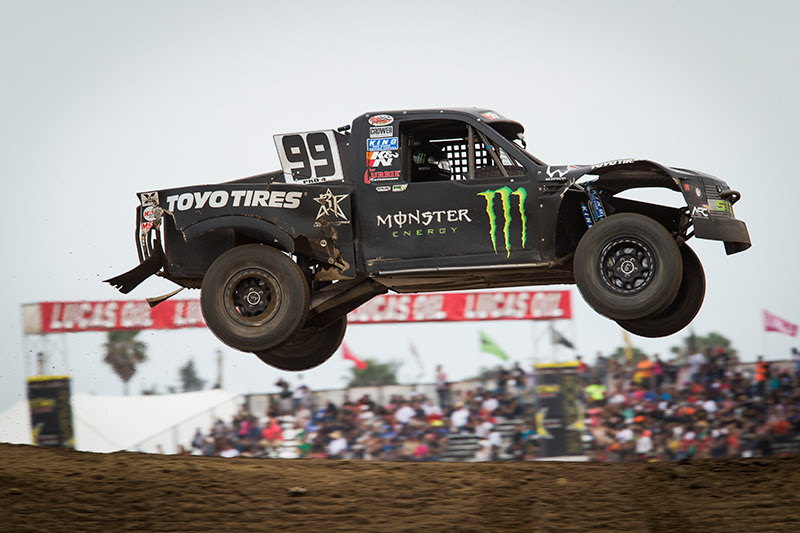 Last season he set a record with 12 single season wins in the Lucas Oil Off Road Racing Series on his way to the Pro-4 title. In 2015, he finished 5th in round one and then went on a merciless streak winning 10 straight races, another record. His record setting 10th consecutive win was no picnic. 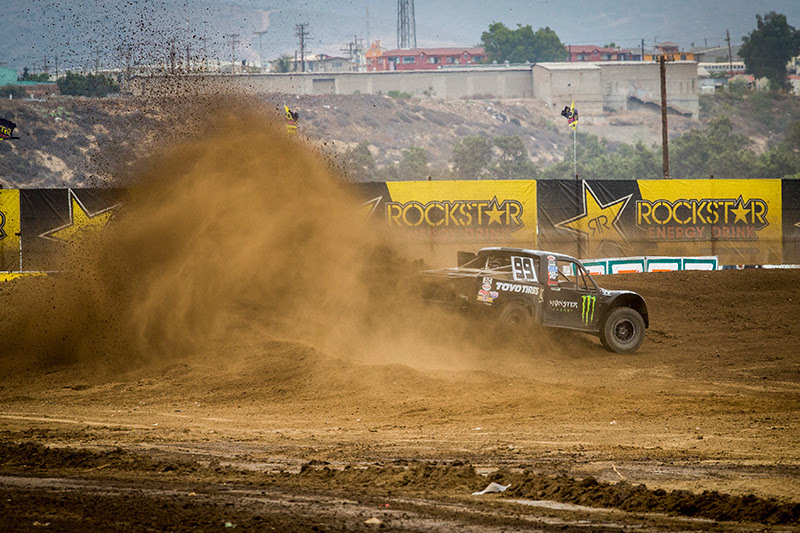 It came South Of The Border at the Baja International Short Course track in Estero Beach. He was the fastest qualifier but he drew a 6-truck inversion putting him back in row 3. The Estero Beach track was sandy, causing deep holes and tons of roost. Starting in the back was perilous. Kyle picked his way to the front and then put a gap back to second place. It was another decisive win For Kyle and King Shocks. Throughout Kyle’s career, he has relied on the unequaled performance and precision tuning provided by his King Shocks. 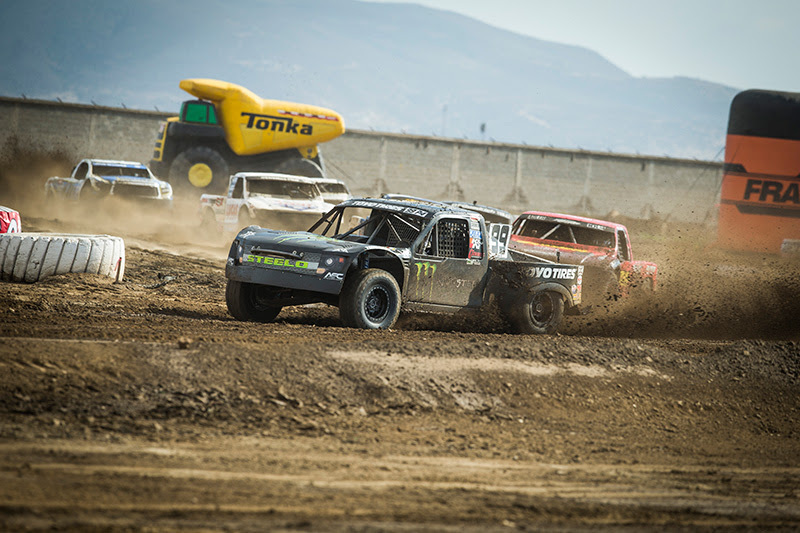 The last two seasons he has flat out dominated in the Lucas Oil Off Road Racing Series’ premiere class, Pro-4. He has taken on the toughest track conditions and came out shining every time. 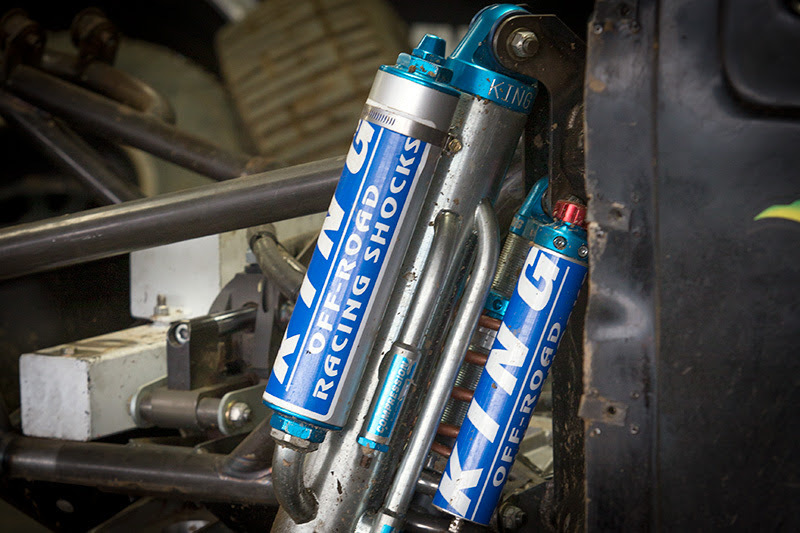 Regardless if you are racing on the toughest tracks on the planet or just having fun, whatever your application; King Shocks has the shock for you with the same adjustability, performance and reliability that keeps Kyle LeDuc in front of the competition.